The event saw influencers across sectors including, Mr. GV Prasad, Dr. KK Noharia, Swami Tejomayanand Ji etc. April 27th, New Delhi: The School of Inspired leadership, Gurgaon conducted convocation for the PGDM students on April 22nd at Chinmaya Mission, lodhi Road, New Delhi. A batch of total 98 students, were awarded their Diplomas by the Chief Guest, H.H Pujya Guruji Swami Tejomayanandji, World Wide Head, Chinmaya Mission. Mr. GV Prasad, Co-Chairman and CEO, Dr. Reddy’s Laboratories Ltd, delivered the convocation address and inspired the students by sharing his journey of leadership in the industry. 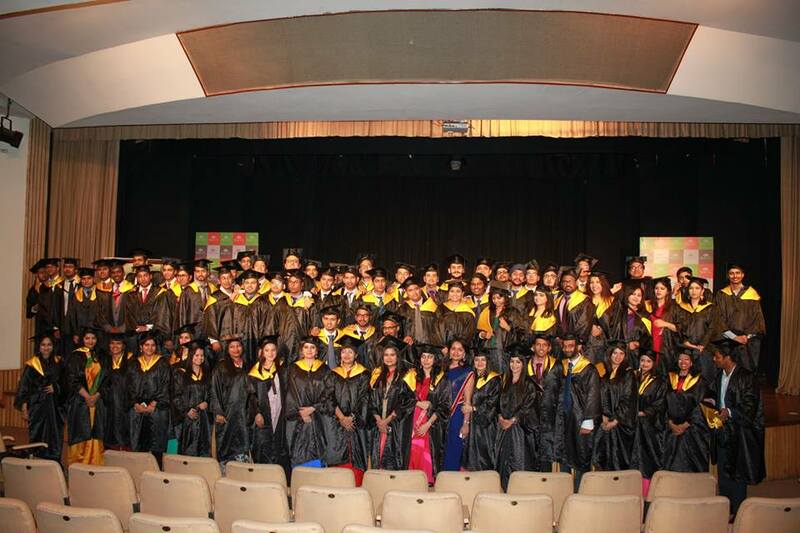 The convocation was themed as ‘Inspired leadership’. The event exhibited, vibrancy and enthusiasm of students ready to take on the industry. The theme, “Inspired leadership” highlighted SOIL’s philosophy of creating better leaders for the society with Character Competence and Enthusiasm. SOIL provides a holistic approach towards education of students with exposure across activities like, Karma Rasoi, Blind walks, Morning Circle, Himalayan Retreats, Appreciative Inquiry, working on Social Innovation etc. It aims to prepare an individual fit for the industry with emotional competence enabling them to take better decisions.